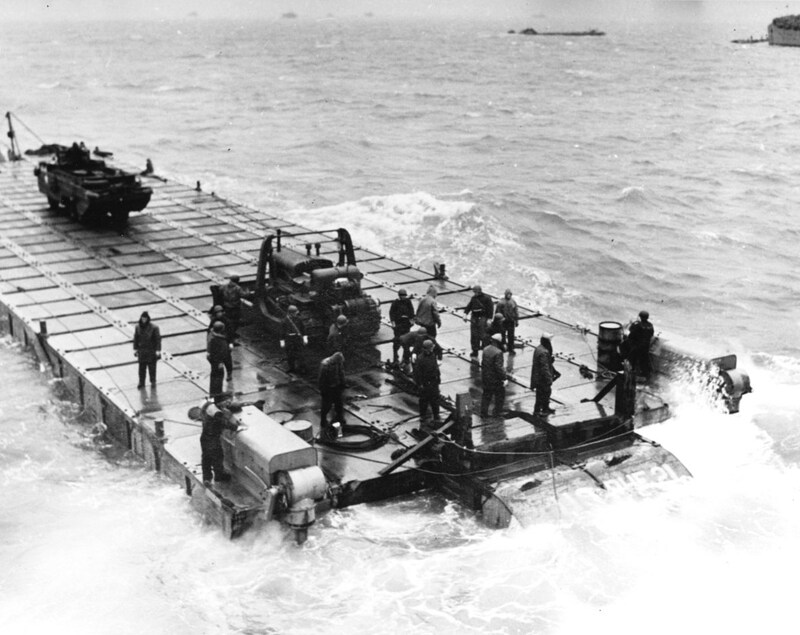 » Good view of a Rhino barge as crews drill in English waters prior to the Normandy invasion, May 1944. Rhino barges were an assembly of 180 welded 5x7x5 foot steel boxes powered by 2 outboard motors of 143 hp each. This photograph has been scaled down; full resolution photograph is available here (1,185 by 941 pixels).